Dr. Lukas W. Snyman, Professor and Chair, Department of Electrical and Mining Engineering, College of Science, Engineering and Technology, University of South Africa, Pretoria, South Africa. Lukas W. Snyman received the B.Sc., B.Sc Hons., M.Sc. and PhD degrees, in physics and semiconductor physics from the University of Port Elizabeth, Eastern Cape, South Africa. Since 1980 he was a Associate Professor at the University of Pretoria in South Africa. Since 2000, he was Professor at the Tshwane Technical University of Technology (TUT) in Pretoria South Africa. In 1996 he was a visiting Guest Scientist at the Paul Scherrer Institute in Switzerland. Professor Snyman has recently been appointed as Professor and Chair of the Department of Electrical and Mining Engineering at the University of South Africa (UNISA), a new high ranking College for Science, Engineering and Technology in Florida, Johannesburg, South Africa. Here he has been tasked to establish a new dynamic department to foster high end research, but also to promote innovation and entrepreneurship activities and research and development programmes in South Africa and in Africa . His main research interests since 1980 have been optoelectronic devices, CMOS IC design, Silicon Photonics , Si Av LEDs, and particularly in the application of these in order new generation innovative and marketable photonic systems in silicon integrated circuitry. Embedded control systems, micro-wave and high-frequency electronics (GSM-GPS) and their application for generating innovative products for the South African and African markets are current secondary interests. Professor Snyman has to date published about 80 scientific articles, mostly in international conference proceedings and scientific journals. He is author and co-author of two scholarly chapters in Intech books on topics of Integrating Micro-Photonic Systems and MOEMS into Standard Silicon CMOS Integrated Circuitry, and “Silicon Avalanche based Si LEDs and their potential integration into CMOS and RF bipolar technology” in 2010 and 2014, respectively. His research in this field has constantly been evolving , and has delivered several guest lectures on these topics at various universities and institutions internationally. Furthermore, he is the main inventor of four granted U.S. A granted patents, co-inventor of two granted USA patents, main inventor of two European Patents, main inventor two Korean patents, two Chinese patents, and ten granted SA patents, mainly on Si Av LEDs and their applications. Prof. Snyman won the WIRSAM scientific awards in South Africa for best lectures at scientific conference. He received the South African Microelectronics Industries (SAMES) award for best contribution in semiconductor physics and microelectronics in South Africa in 1978. In 2002 he received an Academic Excellence Award of “ Researcher of the Year” at the TUT. In 2010, he received an Academic Excellence Award of “Innovator of the Year” at the TUT. In 2015, Professor Snyman was nominated as finalist in the prestigious 2015 BHP Billiton National Science and Technology Forum Award : Photonics: International Year of Light in South Africa He is a current active member of the Institute for Electrical and Electronic Engineers in the USA, a member of the Society for Photonic and Instrumentation Engineers in the USA, as well as a registered professional scientist at the SA Council for Natural Scientists in South Africa.. Professor Snyman has international associations and collaborations with the Boston University in the USA, ESIEE Engineering school in France. Recently, he established collaboration with Prof Kaikai Xu of the UESTC University in Chengdu, China., and together they have now published several high ranking articles together. Professor Snyman has profiles on LinkedInn, Facebook, GoogleScholar, Microsoft Academia, and ResearchGate. Prof. Yingxu Wang, Professor and Chair, Prof., PhD, PEng, FICIC, FWIF, SMIEEE, SMACM, Schulich School of Engineering and Hotchkiss Brain Institute, University of Calgary, Canada. Yingxu Wang is professor of cognitive computing, brain science, and denotational mathematics, President of International Institute of Cognitive Informatics and Cognitive Computing (ICIC) at the University of Calgary. 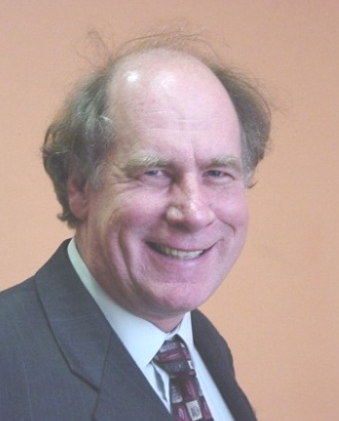 He is a Fellow of ICIC, a Fellow of WIF (UK), a P.Eng of Canada, and a Senior Member of IEEE and ACM. He was visiting professor (on sabbatical leave) at Oxford University (1995), Stanford University (2008|2016), UC Berkeley (2008), and MIT (2012), respectively. He is the founder and steering committee chair of the annual IEEE International Conference on Cognitive Informatics and Cognitive Computing (ICCI*CC) since 2002. He is founding Editor-in-Chief of Int. Journal of Cognitive Informatics & Natural Intelligence (IJCINI), founding Editor-in-Chief of Int. Journal of Software Science & Computational Intelligence (IJSSCI), Associate Editor of IEEE Trans. on SMC-Systems, and Editor-in-Chief of Journal of Advanced Mathematics & Applications (JAMA). Dr. Wang is the initiator of a few cutting-edge research fields such as cognitive informatics, denotational mathematics (concept algebra, process algebra, system algebra, semantic algebra, and inference algebra), abstract intelligence (AI), cognitive computing, cognitive learning engines, cognitive knowledge base theory, and basic studies in software science, neuroinformatics, fuzzy mathematics, cognitive linguistics, and computational intelligence. He has published 410+ peer reviewed papers and 28 books in cognitive informatics, denotational mathematics, cognitive computing, software science, and computational intelligence. He has presented 30 invited keynote speeches in international conferences. He is the recipient of dozens international awards on academic leadership, outstanding contributions, best papers, and teaching in the last three decades. He is the top ten scholars at University of Calgary according to RG stats. 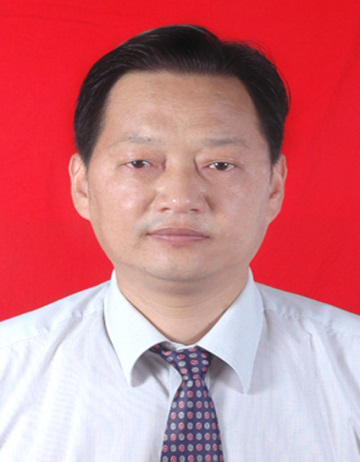 Prof. Guojian Cheng, Xi’an Peihua University. Dr. Guojian Cheng is the Dean of E&E department of Xi’an Peihua University, also as a Professor at the School of Computer Science, Xi'an ShiYou (Petroleum) University. He received Dr. rer. nat. from University of Tuebingen, Germany, in 2002. His current research topic focuses on the projects of Proxy Modeling with Core Vector Machine for Reservoir History Matching and Hybrid Soft Computing for Petroleum Reservoir Modeling & Simulation, both supported by National Natural Scientific Foundation of China. His other research interesting is mainly on computational intelligence applications for petroleum engineering such as geology modeling, reservoir simulation, smart oilfields and also for data mining, machine learning, pattern recognition, biometrics, business intelligence, etc.